DELFONT MACKINTOSH THEATRES' AMBITIOUS PROGRAMME OF STRUCTURAL IMPROVEMENTS AND RENOVATION CONTINUE. 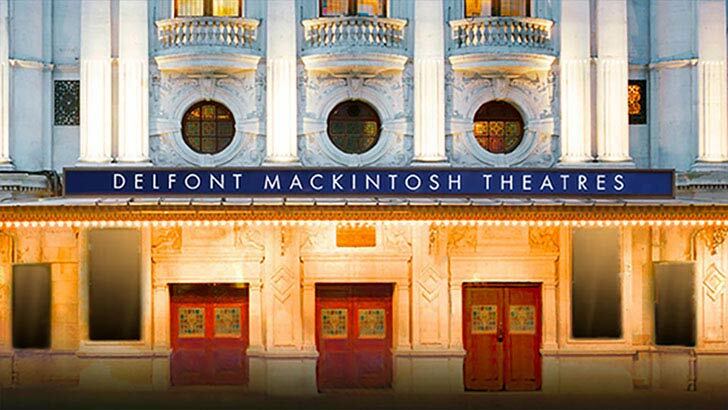 All but two of Delfont Mackintosh's London theatres are now in their second century of continuous operation as public buildings and they contain some of London's finest plaster work. Over the past few years our theatres, along with many others in the West End, have been subjected to extensive surveys of their original fabric. The results of our survey, undertaken by leading historic plaster and paintwork conservationist Richard Ireland and structural engineer Chris Boydell of Conisbee, have shown that work is now required to ensure these unique historic buildings will last another 100 years. This will necessitate that four of our five playhouses, all designed by the great Edwardian architect William Sprague, will each need to close for a period of two to four months to complete the necessary works within the next three years. The first theatre to undergo these improvements will be the Wyndham's commencing early next month. It will be followed by the Noël Coward and the Gielgud in 2019 and the Queen's in 2019/20. At the Novello over 50% of the required work has already been completed and the remainder can be achieved without any loss of performances. The two other musical houses, the Prince of Wales and the Prince Edward, built in the 1930's have both already had major reconstruction during the last 15 years and don't require immediate works and will be dealt with at a later date when the hugely successful productions of THE BOOK OF MORMON and ALADDIN eventually complete their runs. These theatre closures will take place between scheduled productions apart from the Queen's, where LES MISÉRABLES, the world's longest running musical continues to play to 95% capacity in its 33rd year. This Theatre also requires a major renovation backstage. It has had little refurbishment since reopening in 1959 after bomb damage from the Second World War destroyed the entire Front of House and rear Auditorium. As the extraordinary run of LES MISÉRABLES looks set to continue for many years to come, the closure will also allow an opportunity to restore Sprague's original boxes and loges as well as improving other facilities. Plans are being finalised to ensure that this legendary musical success will continue its run in the West End during the Queen's Theatre closure and an announcement with these arrangements will be made in the autumn. Cameron Mackintosh said, "Having just completed the hugely rewarding but very expensive restoration of the Victoria Palace, news of the timing of these works which are necessary to ensure that my other theatres will be in tip top condition for actors, producers and audiences, long after the final curtain has dropped on me, was not the most welcome. There are major financial consequences, not just the considerable cost of the capital works, but the knock on costs of closing these theatres for several months will run into many millions of pounds. However, I love these buildings and luckily my success as a Producer has given me the resources to preserve their life for another 100 years - so that the show can go on and on and on!"